Pretoria, South Africa, 5th March 2018—More than 1.3-million live animals and plants, 1.5-million skins and two thousand tonnes of meat from CITES-listed species have been exported from 41 African countries to East and Southeast Asia since 2006, a ground-breaking new TRAFFIC report funded by Arcadia and published today reveals. Download the full report Eastward bound: Analysis of CITES-listed flora and fauna exports from Africa to East and Southeast AsiaExports included 975 different taxa listed under either CITES Appendix I (most endangered) or Appendix II (not necessarily threatened with extinction, but may become so unless trade is closely controlled). In recent years, the focus on wildlife trade from Africa has centred on the illegal trade and the devastating onslaught on iconic species like elephants and rhinos. Comparatively little attention has been given to legal wildlife trade from the continent—until now. This report, Eastward Bound, is the first of its kind and endeavours to shed light on legal trade trends, the diversity of species and countries involved, and new patterns emerging. It provides a comprehensive overview of legal trade from Africa to East and Southeast Asia and includes detailed regional and country analyses. “Until now the legal wildlife trade between Africa and Asia has been largely overlooked but TRAFFIC’s new study aims to fill in some of the blanks in our understanding of this vast, complex and legitimate intercontinental exchange of natural resources,” said Willow Outhwaite, co-author of the study. The report highlights significant changes and trends between 2006 and 2015, the most recent decade for which a fairly complete CITES trade dataset is available. Trade reported to CITES so far by member states for 2016 and 2017 has also been analysed to identify emerging patterns. A total of 41 African countries exported CITES-listed wildlife to 17 Asian countries/territories. Over 91% of skins (1,418,487 of 1,558,794) exported from Africa were of Nile Crocodile. 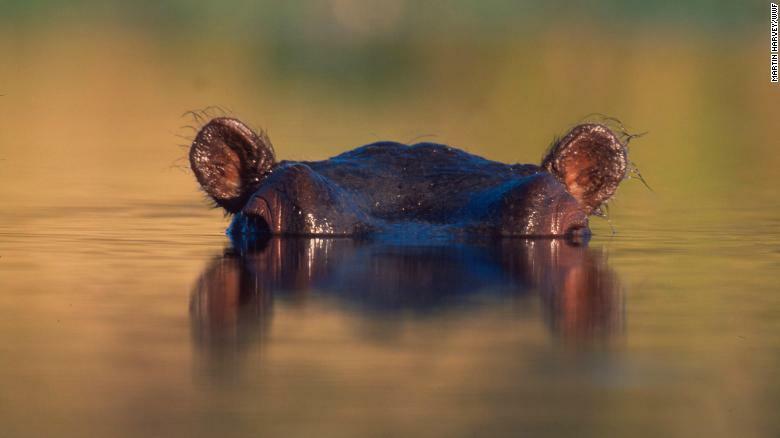 More than 50 tonnes of Common Hippopotamus teeth were exported from Uganda and Tanzania, with Malawi emerging as a significant exporter in recent years. The results of this project illustrate how CITES trade data can be used to understand wildlife trade dynamics better, highlighting major commodities and species in trade and the countries involved. The database—which is publicly accessible at https://trade.cites.org—is an important tool for monitoring species in trade, emerging trends and potential threats to listed species. This report was made possible with the generous support of Arcadia—a charitable fund of Lisbet Rausing and Peter Baldwin. Asia’s appetite for exotic animal products extends far beyond ivory and rhino horn. In little over a decade, more than a million live animals and plants, many of them endangered, along with a similar number of animal skins and thousands of tons of meat have been legally exported from Africa to Asia, according to a new report from the wildlife monitoring organization Traffic. The report says that almost 1,000 at risk but legally exportable species have been transported from dozens of African nations to countries in East and Southeast Asia between 2006 to 2015. 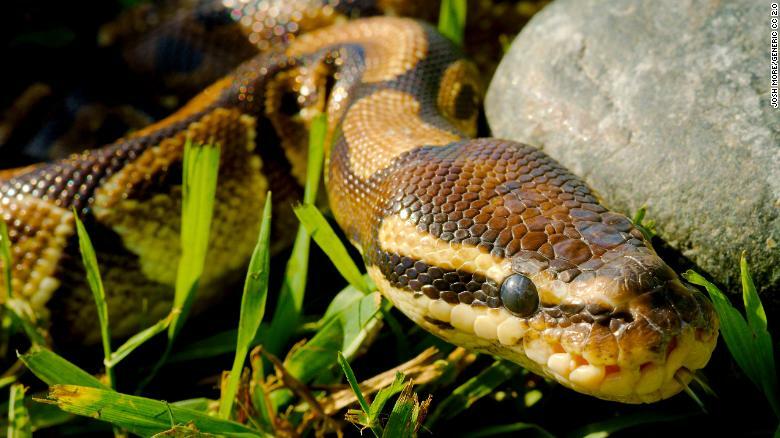 While not illegal, the trade examined by Traffic includes species classed as Appendix I — the most endangered — and Appendix II, defined as “not necessarily threatened with extinction, but may become so unless trade is closely controlled,” by the Convention on International Trade in Endangered Species of Wild Fauna and Flora (CITES) — an international treaty. Traffic spokesman Richard Thomas while says it’s crucial to ensure that trade in wild animals and plants is legal, but it’s “absolutely critical” that that trade is kept within sustainable limits. “Measures must be in place to be certain species are not being over-harvested. This is the goal that all government departments managing wildlife trade must strive to attain,” Thomas said. 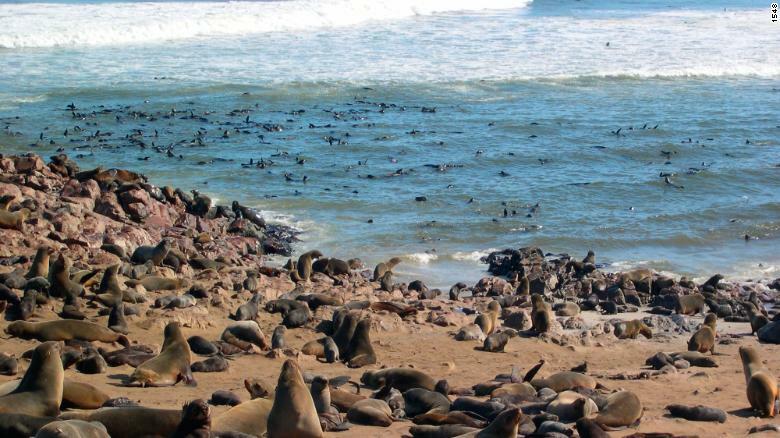 A Cape Fur seal colony at Cape Cross on the Skeleton Coast of western Namibia. As many as 41 countries and territories in Africa were involved in the export of live animals, plants and animal products to 17 different countries across Southeast East and East Asia, the report found. The bulk of these two species were exported to Hong Kong during the period examined by the report. Elsewhere the report, which used CITES trade information to compile its data, Traffic found that more than 50 tons of Hippopotamus teeth were exported from Uganda and Tanzania; Namibia exported the highest number of mammal skins, mostly from Cape Fur Seals; and South Africa was the biggest single exporter of both live birds and mammals, as well as plants. 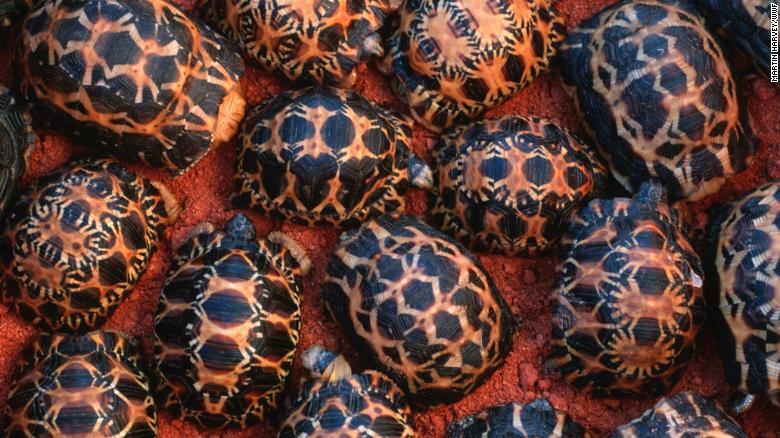 Newly hatched Madagascar radiated tortoises in Southern Madagascar. More than 1.3-million live animals and plants, 1.5-million skins and two thousand tonnes of meat were exported from a wide range of African countries, and while species raised in captivity made up an increasing proportion of exported specimens.